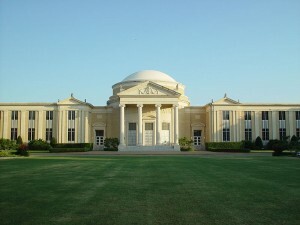 FORT WORTH, Texas — Southwestern Baptist Theological Seminary, a member of the Southern Baptist Convention, has enrolled its first Muslim student and is defending its decision to accept the applicant despite concern and criticism. According to reports, Ghassan Nagagren, a Palestinian Muslim, recently completed his first year of studies at the Christian seminary as he is pursuing a doctorate in archaeology. Nagagren has been volunteering with the seminary for the past six years at an archaeological site in Israel. Wade Burleson, pastor of Emmanuel Baptist Church in Enid, Oklahoma, wrote about the matter on his personal website Friday, decrying the seminary for enrolling Nagagren and urging the Southern Baptist Convention to address the issue. Burleson said that he is concerned that Southwestern accepted Nagagren contrary to the seminary’s own admission policies. He noted, however, that Mormons have also been enrolled at the seminary in the past, which he also found to be disturbing. Following Burleson’ post, Southwestern President Paige Patterson issued a statement about the matter, explaining that the seminary accepted Nagagren because he agreed to abide by Southwestern’s Code of Conduct. Patterson said that he does not see an issue with admitting the Muslim student and spoke of the benefits of forming a relationship with Nagagren. But Burleson said that Patterson’s explanation was startling. Burleston opined that while some state that the arrangement may be a prime evangelistic opportunity, he begs to differ. “We are far more effective fulfilling the polices of the Southern Baptist Convention and the charters and policies of our seminaries by training Christians for gospel ministry and then sending them to places where Muslims are, than we are by violating policies and bringing Muslims and Mormons to where our gospel ministers and missionaries are being trained,” Burleson asserted.